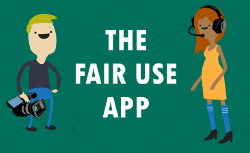 Ways you can support New Media Rights! When you make a donation to New Media Rights, you're providing legal services for creative projects, free speech, nonprofit services, and job-creating business ideas that may die on the vine or be the victim of improper censorship without these services. The best way to show your support is to become a New Media Rights Supporter. You can learn about about our different giving levels and Supporter benefits (including priortized response times and receiving our newsletter) on our Supporter page. Click here to become a Supporter or make a Donation now! There are also many other ways you can get involved. Connect with us on Facebook, Twitter, and Youtube. 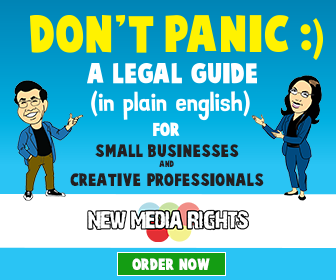 Buy our book Don't Panic, a plain language legal guide every artist, creator, nonprofit and business should own! Volunteer for one of our volunteer opportunities and internships some of which can be done remotely. Share your skills. If you're a digital rights advocate, share new resources, projects, and advocacy efforts with us. If you're a filmmaker, share your videos with us on digital rights topics. Donate. We rely on donations from individuals like you to provide our one-to-one free legal services, educational guides, and public policy advocacy.